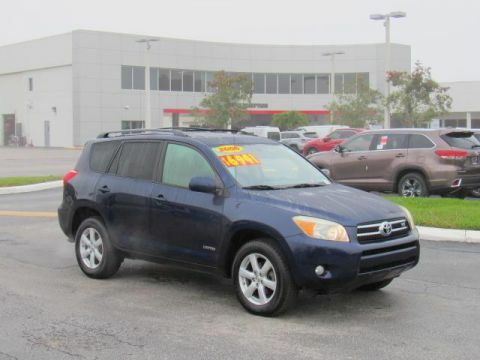 **Blue** **Sunroof** **AWD** **Keyless Entry** Discover excellence in our 2006 Toyota RAV4 Limited AWD brought to you in Blue. Check out our powerful 3.5 Liter V6 connected to a 5 Speed Automatic transmission. You'll enjoy impressive handling in our All Wheel Drive Limited, plus near 29mpg on the open road! Our Limited has it all and then some featuring privacy glass, heated mirrors, and fog lamps. While inside enjoy a sunroof, comfortable cloth seating, keyless entry, MP3, auxiliary audio input, steering wheel audio controls, and much more. Don't let this one get away! 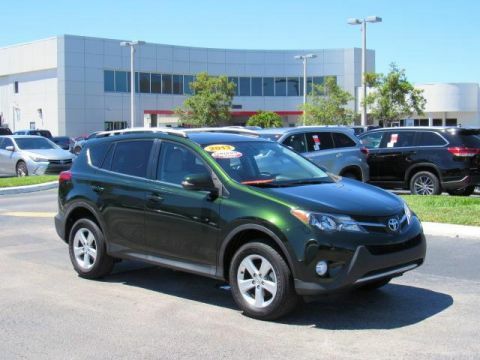 This RAV4 offers fantastic safety features like traction control, tire pressure monitor, and multiple airbags. Print this page and call us Now... We Know You Will Enjoy Your Test Drive Towards Ownership! 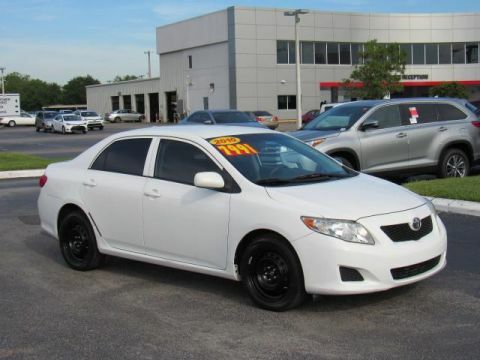 **Super White** **Power Accessories** **ABS** **Nearly 35MPG** Introducing our versatile, Accident-Free 2010 Toyota Corolla LE in Super White that is sporty, yet fuel efficient! Powered by a 1.8 Liter 4 Cylinder that produces 132hp when coupled to a responsive Automatic transmission. This Front Wheel Drive Toyota will get you where you're going with ease while earning almost 35mpg on the highway! Turn heads with the timeless styling of this Corolla accented by polished steel wheels, the blackout grille, and sweeping curves. Our LE trim offers plenty of features. A great audio system with an AM/FM/CD Player, plush comfortable cloth seats, power windows/locks, and much more. Take a good look at our pictures and feature list. Notice there is plenty of cabin legroom in the front and back seat. Don't forget the large trunk space for your gear. You aren't going to regret adding this amazing Corolla to your parking spot! This NHTSA award-winning vehicle has so many safety features, it's almost as if Toyota has wrapped its drivers in bubble wrap! With ABS, daytime running lights, LATCH for child seats, and an army of airbags, you are going to feel secure inside this sedan. Don't miss out on this inspiring Toyota Corolla LE! Print this page and call us Now... We Know You Will Enjoy Your Test Drive Towards Ownership! 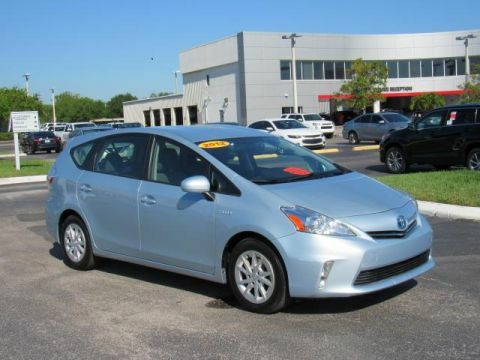 **Clear Sky Metallic** **Toyota Certified** **Backup Camera** **Bluetooth** **Steering Wheel Mounted Controls** Our versatile 2012 Toyota Prius v Two Wagon shown proudly in Clear Sky Metallic is ready to go! Powered by an impressive 1.8 Liter 4 Cylinder that is tethered to an electric motor combo that offers 98hp while paired with an innovative CVT. This Front Wheel Drive Wagon offers nearly 44mpg in the city making this a great choice for families or anyone with an active lifestyle looking to spend less money on fuel. Comfortable and spacious, it's a frugal alternative to more thirsty minivans and crossovers. Our new Prius v has a tall roofline and sleek style with distinct alloy wheels! Our Prius v was designed with your busy family's lifestyle in mind as it has expansive cargo room and ample passenger space with a fold-flat front passenger seat and a 60/40 split-folding rear seat that slides and reclines. A sound system with CD player and iPod/USB audio interface will provide the soundtrack for your drives, and Bluetooth technology keep you connected. This Prius v from Toyota will leave you feeling confident hauling the kids around knowing that you are protected with stability control, brake assist, rearview camera, and numerous airbags. This is a wise choice for you, your family, and your wallet. Print this page and call us Now... We Know You Will Enjoy Your Test Drive Towards Ownership! 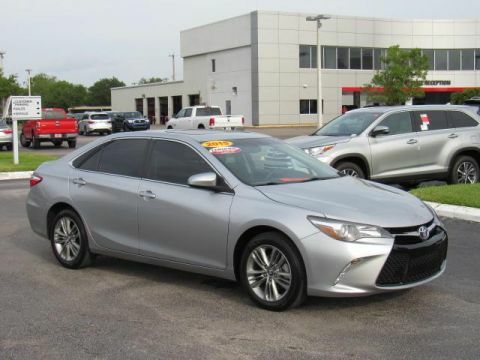 **Magnetic Gray Metallic** **Toyota Certified** **Backup Camera** **Bluetooth** **Steering Wheel Mounted Controls** Our performance tuned, Accident-Free, One-Owner, Certified Pre-Owned 2014 Toyota Camry SE Sedan is shown off in an eye-catching Magnetic Gray Metallic! Powered by a 2.5 Liter 4 Cylinder that offers 178hp while paired with a smooth-shifting 6 Speed Automatic transmission. This Front Wheel Drive SE rewards you with nearly 35mpg on the open road. You'll soon see that confident handling, solid engineering, and high-grade workmanship make this sedan an absolute delight to own, and continue to earn this legendary car accolades every year. Admire the stunning good looks of our SE, and you'll notice a dynamic wedge shape, alloy wheels, and fog lights. The ergonomically designed SE interior features a central display with Bluetooth phone and audio connectivity and a six-speaker sound system with steering wheel mounted controls. You'll also appreciate sport seats, heated mirrors, and a leather-wrapped tilt-and-telescoping steering wheel. Toyota offers anti-lock brakes with brake assist, stability control, and an army of airbags combine to safeguard you in this excellent car with a sterling reputation for reliability. You are sure to enjoy this smooth, quiet ride! Print this page and call us Now... We Know You Will Enjoy Your Test Drive Towards Ownership! 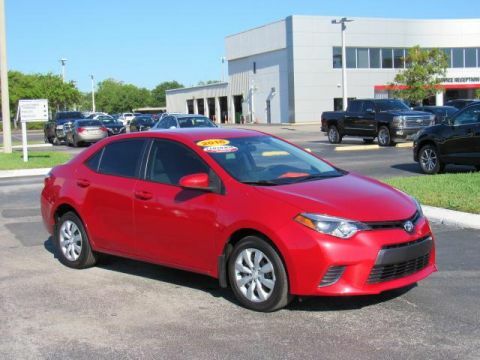 **Barcelona Red Metallic** **Toyota Certified** **Backup Camera** **Bluetooth** **Steering Wheel Mounted Controls** With proven reliability and masterful craftsmanship, our Accident-Free, One-Owner, Certified Pre-Owned 2016 Toyota Corolla LE Sedan is eye-catching in Barcelona Red Metallic! Powered by a 1.8 Liter 4 Cylinder that offers 132hp while perfectly matched with a seamless CVT for smooth passing. This ideal Front Wheel Drive combination helps you achieve near 38mpg on the open road and represents the gold standard in its class. The modern stance of our Corolla LE is accented by LED headlights. A perfect balance of efficiency and style, the interior of our LE boasts ample legroom and cutting-edge technology that is straightforward and user-friendly. Remote keyless entry, power door locks, climate control, and steering wheel audio controls make every ride feel first-class. You'll also enjoy the Entune Audio touchscreen with an integrated backup camera, Bluetooth, an auxiliary audio jack and a USB/iPod interface. 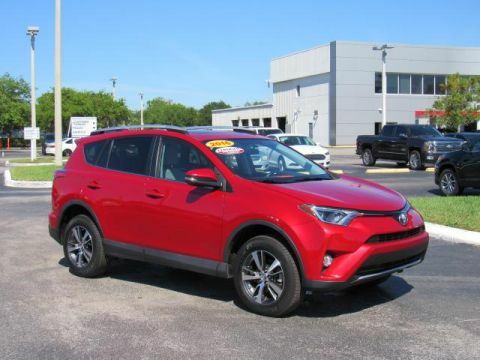 This Toyota comes equipped with top-notch safety features such as the Star Safety system that adds peace of mind with stability and traction control, anti-lock brakes, and eight airbags. 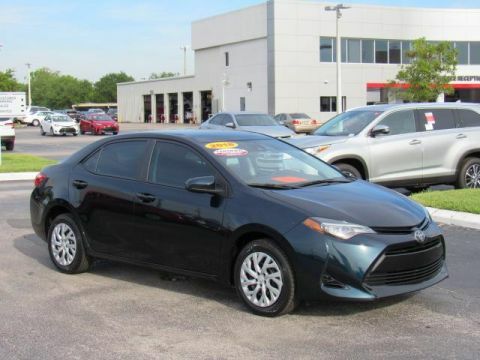 Safe and dependable, the Corolla is an all-around smart choice! Print this page and call us Now... We Know You Will Enjoy Your Test Drive Towards Ownership! 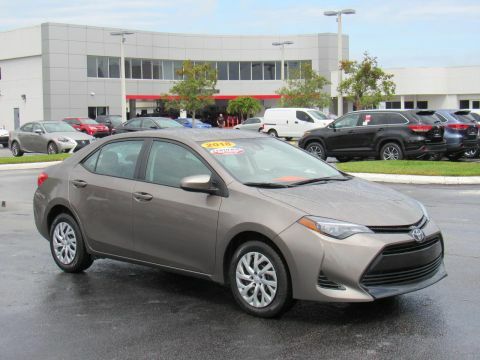 **Falcon Gray Metallic** **Toyota Certified** **Backup Camera** **Remote Keyless Entry** **Lane Departure Alert** A pure pleasure to own, our Accident-Free, One-Owner, Certified Pre-Owned 2018 Toyota Corolla LE Sedan looks fresh in Falcon Gray Metallic! Power comes from a proven 1.8 Liter 4 Cylinder that offers 132hp while connected to a seamless CVT. 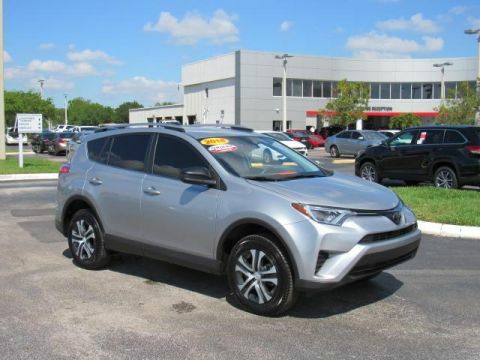 This Front Wheel Drive Toyota offers a smooth ride that is comfortable and confident while providing near 36mpg. Our Corolla LE slips through the air with ease and turns heads with its good looks. Check out the bold front fascia, amazing wheels, and Bi-LED headlights! The LE interior features all the sporty style you crave with premium materials, remote keyless entry, a remote starter, supportive fabric-trimmed seats, and automatic climate control that adds comfort to your drive. You won't miss a beat thanks to our Entune Audio with apps to help keep you connected and an integrated backup camera with a projected path. You'll have plenty of space to haul your gear with a large trunk and the versatility of 60/40 split rear seats. 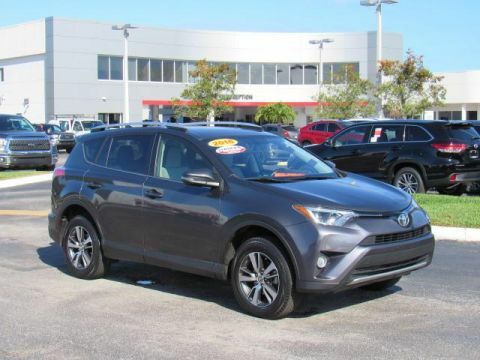 Our Toyota provides you with an incredible level of safety with its Toyota Safety Sense that includes a pre-collision system, lane departure alert, pedestrian alert, and dynamic radar cruise control. Add in eight airbags, tire pressure monitoring, and other advanced features meant to keep you out of harm's way. With striking good looks, incredible efficiency, and a reputation for reliability, our Corolla helps you go the distance! Print this page and call us Now... We Know You Will Enjoy Your Test Drive Towards Ownership! 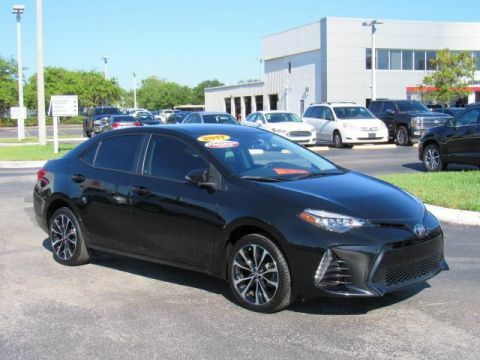 **Black Sand Pearl** **Toyota Certified** **Bluetooth** **Backup Camera** **Lane Departure Alert** Check out the aggressive good looks and can-do attitude of our Accident-Free, One-Owner, Certified Pre-Owned 2017 Toyota Corolla SE Sedan showcased in Black Sand Pearl! Powering our SE is a 1.8 Liter 4 Cylinder that provides 132hp while connected to a seamless CVT with intelligence and shift mode delivers a smooth ride that is comfortable and confident. Our Front Wheel Drive will help you secure near 35mpg on the highway! Our Corolla SE slips through the air with ease. Admire the bold front fascia with a mesh grille, alloy wheels, multi-LED headlights, chrome-tipped exhaust, and rear spoiler. The interior features of our SE have all the sporty style you crave with premium materials, a leather-trimmed multi-function steering wheel, supportive fabric-trimmed seats, and automatic climate control. You won't miss a beat thanks to our Entune Audio touchscreen display with available connected Navigation apps, Bluetooth, and voice command controls. You'll also enjoy plenty of space to haul your gear with a large trunk and the versatility of 60/40 split rear seats. Our Toyota provides you with an incredible level of safety with its Toyota Safety Sense that includes a pre-collision system, lane departure alert, and dynamic radar cruise control. You'll also have a backup camera, airbags, tire pressure monitoring, and other advanced features meant to keep you out of harm's way. With striking good looks, incredible efficiency, and a reputation for reliability, our Corolla helps you go the distance! Print this page and call us Now... We Know You Will Enjoy Your Test Drive Towards Ownership! **Celestial Silver Metallic** **Toyota Certified** **Navigation** **Sunroof** **Bluetooth** **Rearview Camera** Presenting our athletic, Accident-Free, Certified Pre-Owned 2015 Toyota Camry SE with Navigation in Celestial Silver Metallic! Powered by a 2.5 Liter 4 Cylinder that offers 178hp while paired with a paddle-shifted 6 Speed Automatic transmission. Enjoy this Front Wheel Drive combination and the confidence of a sport-tuned suspension that rewards you with nearly 35mpg on the open road! 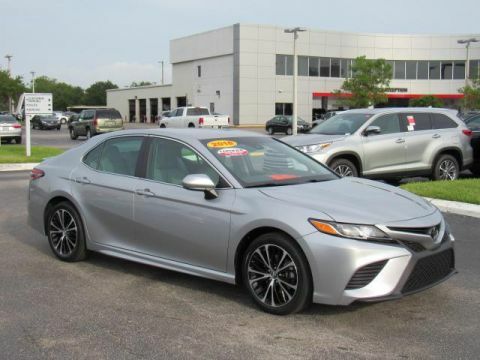 Solid engineering and high-grade workmanship continue to earn this legendary car accolades every year plus the bold exterior of this Camry is accented by distinct alloy wheels with a Graphite finish, a sunroof, and a sport mesh front grille. The ergonomically designed interior of our SE features SofTex sport fabric and an Entune Audio touchscreen with Bluetooth phone and audio connectivity as well as a six-speaker sound system with steering wheel mounted controls. Key in your destination using the navigation system and you will be elated that you got to this one before someone else. Confident handling, straightforward technology and lots of comfortable passenger space make this car an absolute delight to own. 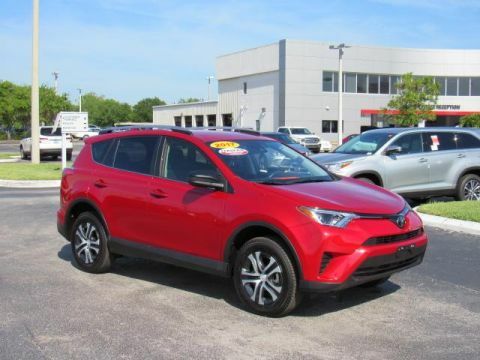 Safety comes first in this Toyota with features like anti-lock brakes with brake assist, stability control, a rearview camera, and an army of airbags combine to safeguard you in this impeccable car with a sterling reputation for reliability. 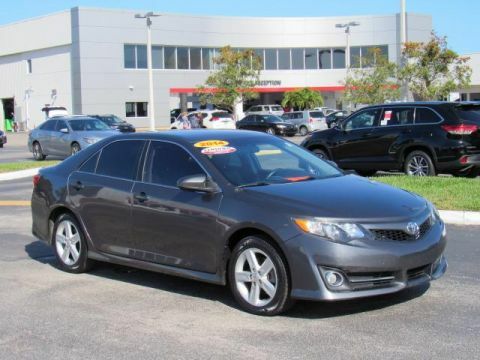 Enjoy the smooth, quiet ride that our impeccable Camry SE has to offer! Print this page and call us Now... We Know You Will Enjoy Your Test Drive Towards Ownership! **Celestial Silver Metallic** **Toyota Certified** **Entune 3.0 Audio** **Backup Camera** **Remote Keyless Entry** Sensible and sporty, our Accident-Free, One-Owner, Certified Pre-Owned 2018 Toyota Camry LE Sedan finished in Celestial Silver Metallic is waiting for you! Powered by a 2.5 Liter 4 Cylinder that offers 203hp while mated with an impeccable 8 Speed electronically controlled Automatic transmission for easy passing demands. This Front Wheel Drive Sedan offers nearly 39mpg on the open highway, as well as impressive acceleration and handling. Athletic and graceful, the exterior of our LE is accented by an aggressive stance, alloy wheels, Bi-LED automatic headlights, and bright LED taillights. Slide into the comfortable LE fabric-trimmed seats as you savor ergonomically designed features including a 7-inch touchscreen display, Entune 3.0 Audio, Bluetooth, and a wonderful six-speaker sound system with steering wheel mounted controls. You'll also appreciate remote keyless entry, cruise control, a backup camera, a tilt-and-telescoping steering wheel, and split-folding rear seats. Stunning looks, amazing handling, the newest technology, and the roomy interior make this Camry an absolute joy to own. 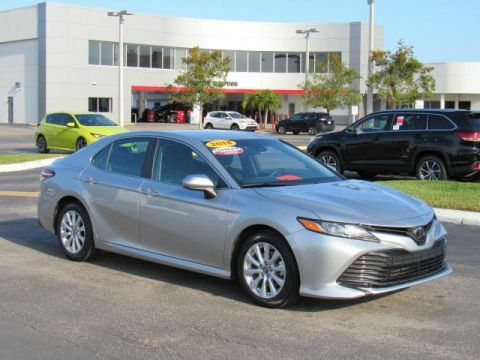 Toyota offers anti-lock brakes with brake assist, stability control, and an army of airbags combine to safeguard you in this impeccable Camry with a sterling reputation for reliability. Enjoy this smooth quiet ride! Print this page and call us Now... We Know You Will Enjoy Your Test Drive Towards Ownership!